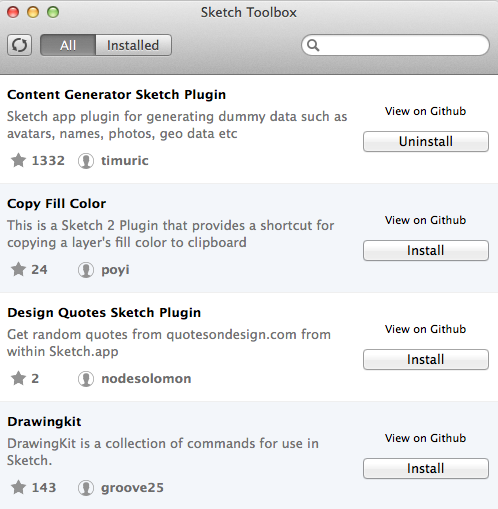 Sketch is the most beloved graphic designing tool nowadays in the industry. Getting fame on a broad scale, it has earned the trust of an array of coders and designers. And what result is? Being a prominent web & design tool, this enriches flexible but comprehensive features and you must be aware of them so that you can be a powerful leader in your respective domain with maximum revenues and potential clients/customers. 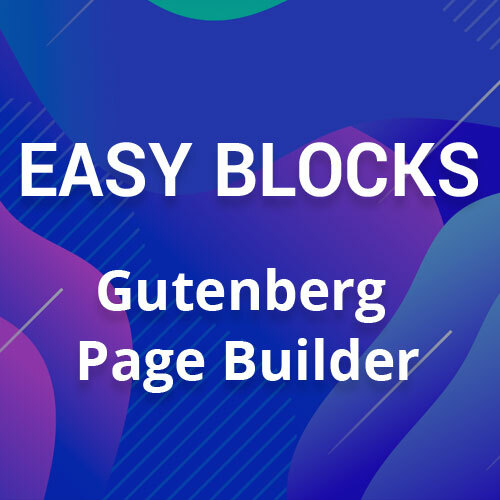 This exalted UI design tool owns a great support of highly ardent people who have been added as the active community members and are working now to prolong the functionality. The regularly rising presence of custom Sketch plugins has widespread the ways of designers & developers as they can accomplish their tasks so easily. Their attendance is amplifying the functionality, so we thought to pen them down in brief that are generally ever noted and favorites of many too. Want to attain color swatches? This plugin is one of the best options for you to get the coloring palette swatches. It is the real beauty of this plugin which runs through the menu bar. That way, you just have to type HEX value of your desired color. 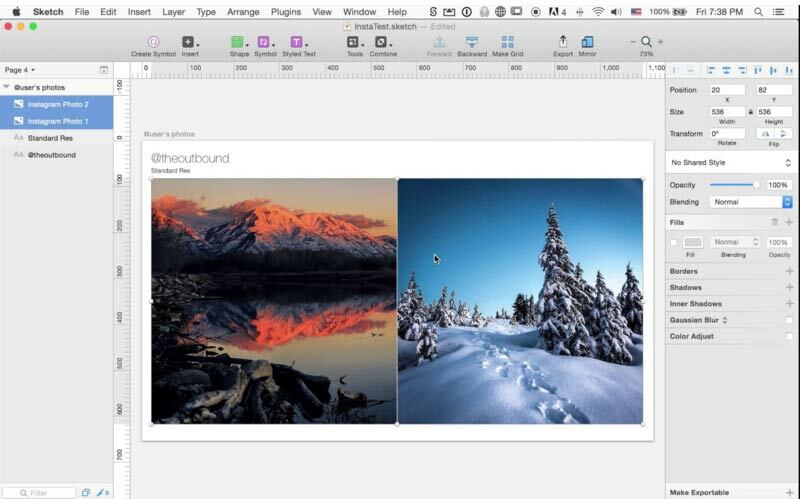 You’ll receive an automatically created grid incorporated with RGB, Label, Color and HEX values. This substantial plugin is beneficial for all populating designs. Get the augmented utility of Color Contrast Analyzer which has been developed by Florian Schulz. This plugin makes the calculation of two-layer contrast colors probably painless and beside this, helps you identify this against WCAG (Web Content Accessibility Guidelines). Try this imperative plugin & give an appreciable value to the legibility, accessibility as well as ideal design all around you. The quite interesting thing with Sketch is; it offers pretty awesome export files in different formats like SVG, PNG, JPG, etc. But in case you just want to design icons, then it would be indispensable for you to build ICNS file which is generally a bunch of versatile images that vary in sizes. Although many of apps are out there that perform good for this, but if you use this plugin at least once for the same scenario, then you would not leave Sketch & that for sure. You may whether develop 1024 x 1024 icon or artboard and this plugin will bring them all together. We would like to recommend initiating the project via MAC app or iOS icon template. Why is this a tremendous utility especially if you’re running on iOS app icons? This works simple with shift+cmd+D command and provides a preview of the recent artboard on MAC X Dock by replacing with Sketch gem. Using this is not a worth of cost only if you take it for the web app or page. Since the 90s, GIF is the part of this competitive web industry and incorporates more than the number of animated funny cat videos. Their use can be perfectly done in the quick prototype animation. This removes the need for After Effects or additional tool especially when you require brisk prototype creation of the animation. Be familiar with Dynamic Button plugin of Sketch that lets creating buttons through the fixed padding without any matter of text length. You will experience like using it with CSS. To run this, organize text block with a long press of CMD+J to get the created group, background or structure shape of the button and an easy to rename text block which looks like “0:0:0:0” by default. Such values are CSS syntax or can say padding values for the button you created. Only a few steps are needed to handle this plugin the way you want because you need to design and activate the plugin once. Choose the pixel density and the rest part of exporting work will execute automatically in HDPI, xxHDPI, MDPI, xxxHDPI and HDPI. SketchSquare is alike Content Generator plugin and used for creating the layers that you desire for the replacement with a photo. That way you find an array of options to select from, like size, source, and shape. This handy option gives you an ease when dealing online with round shapes. In fact, the enthusiastic and technology passionate community of Sketch is all round that regularly brings updates in this designing tool in terms of feature, plugins and more. It makes you super-responsive & the active community allows introducing the custom plugins rising in the number day by day. Hope these 10 plugins will push you enough to take the benefits and reap the revenues & visibility of your business so that your company future is ever brighter. David Meyer is a developer at CSSChopper- Sketch to HTML/HTML5 company and also loves informational write-ups to share which can spread the message of the post in more & more readable form. He likes exploring features as well as makes the neophyte aware of them. Follow him on Facebook, Twitter, & Google+. Previous Post5 Key Aspects of Converting PSD to WordPress	Next PostWhy Should You Use Mobile Friendly WordPress Theme?